Kim is a keen reader and likes finding bargains when possible. Our first trips to sofa stores proved to be disappointing. We wanted to buy leather sofas, but it seemed that the styles we preferred were only available as recliners. We didn't set out to buy these, and this factor added to the price. We found another store with three comfortable sofas. Again, only manual or electric recliners were available. 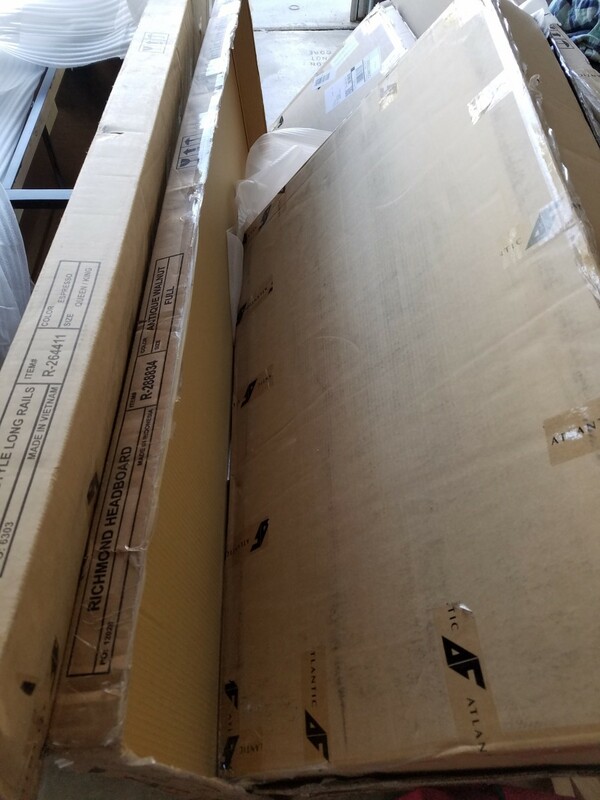 I'm going to share our sofa buying experience and a few tips to consider if you're thinking of getting a reclining sofa. We went to several different stores. 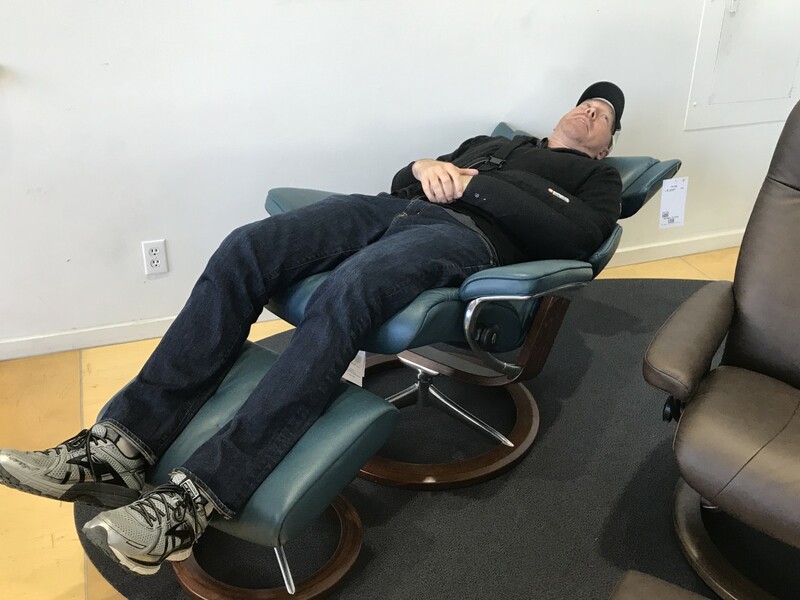 Here are a few things that bothered me about the idea of electric recliners. The electric versions were smooth and effortless, and if I'm being honest, a little reminiscent of a dentist's chair. The price was considerably higher than a regular sofa. The idea of having to keep your sofa plugged into electricity bothered me. We realized that the sofas would have to sit away from the walls to fully recline. This didn't fit well with the smaller room we were furnishing. However, it did seem nice to be able to set the footrest at any angle you wanted with the electric recliners. Some of the manual recliners popped right up instead of staying halfway out. Note - updated below regarding electric recliners. The search continued. Again, results showed that finding leather sofas that weren't in recliner form was difficult. Then... bingo! 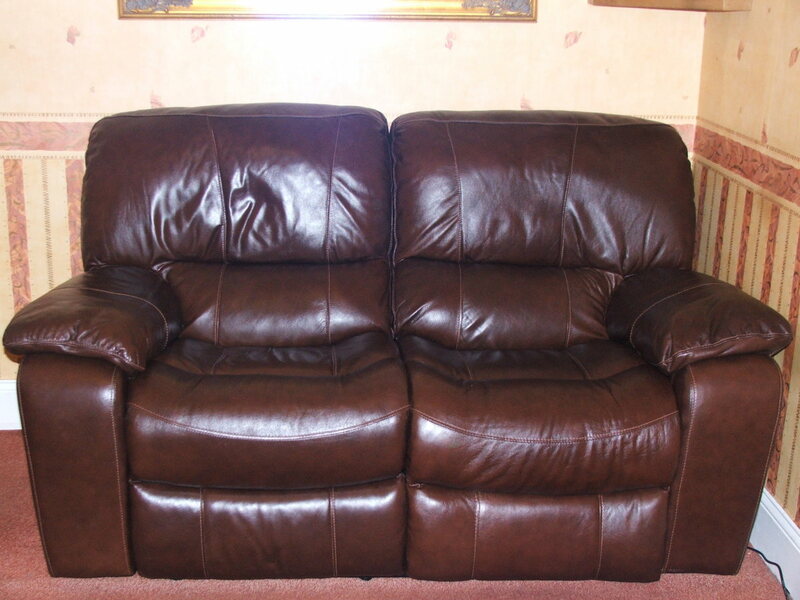 We found 2 showroom leather sofas, a 2 and 3 seater, at a bargain price. They were manual recliners. Give the seating a thorough trial. This is not the time to sit neatly as if you're at an interview. Slouch, slump, and lay down if that's how you use your furniture at home. The salesman isn't going to object if there's a chance of a deal. The sofas we found passed the comfort test. As they were roughly half the price the of other sofas, including non-reclining pieces, we took the plunge and bought them. It's worth considering all of your options when buying a sofa. You never know where a bargain may appear. The model we chose is more of a leg rest-out type than a lean back, which suits our space better. It meant leaving the two-seater slightly away from a side wall so we could reach the handle. It also means you can't pop a little table just in front of the sofa to hold a drink. When the leg rest is extended, the table would get knocked over. It could potentially be because it was an ex-demo model, but the two-seater has a slight fault. You think the leg rest clicked back into place, but then it springs out again, keen to keep you on the seat. This problem seems to be settling down, the sofa is becoming house trained. Update The fault may have been partly ours because we didn't push the leg rest back fully. The action seems different on each sofa, so learn how to use yours correctly. You need to pull the lever carefully if you have long fingernails. If you hold it wrong, you could break your nails. That may sound a girly thing to say, but it's painful when it happens. Pushing the leg rest down is quite strenuous on my legs and abdomen. We're getting the knack now and shuffle towards the front of the seat to have more leverage. I'm not very tall, so it's particularly hard for me. An elderly person may well find the process difficult. The back of the sofa moves a little when the leg rest is out, but not enough to tip you backward. It's very comfortable, and you can have your legs at the angle of choice. When using a footstool, your legs tend to be straight out, which can result in painful knees if you sit for an extended amount of time. Do I regret our purchase? The seats are essentially separate from each other. If the person next to you moves about, it doesn't affect your seat—there's no jiggle factor. There's an extra gap for the TV remote to slip down between the seats. A bookmark has disappeared completely. Watch out for kitty investigating the gap under the sofa when the leg rest is extended. My laptop cable found its way under the leg rest and was in danger of being trapped in the mechanism. I'm not ready for the electric chair. These sofas are much heavier than our old ones. The metalwork and recliner action add weight. If you like to rearrange furniture, it will be harder work to move the items. The answer is this: No, we don't regret the purchase. We didn't set out to buy reclining sofas. If that was the case, I think doing more research would have been appropriate.This may sound like I'm highlighting more negatives than positives. They are just points we hadn't considered before purchasing a chair. We don't have any regrets. The sofas we bought are extremely comfortable and are a welcome addition to our house. Having recently changed to electric recliners, despite my inital reluctance, I can now report a couple of additional points. Being able to have the leg rest at many different angles is a bonus. If your knees or legs get a little tired of one position, you can easily change. I had unexpected abdominal surgery recently, the manual recliners would have been tricky to operate. I may well not have used them. However, the electric motor action is slower than the manual flip out, kick back. This isn't a problem most of the time, but if I want to hop out of the seat promptly, say to answer the doorbell, it's noticeable. We had a recent power cut, unusual where we live, and scrabbling out of raised leg rest seats in the dark did complicate things. 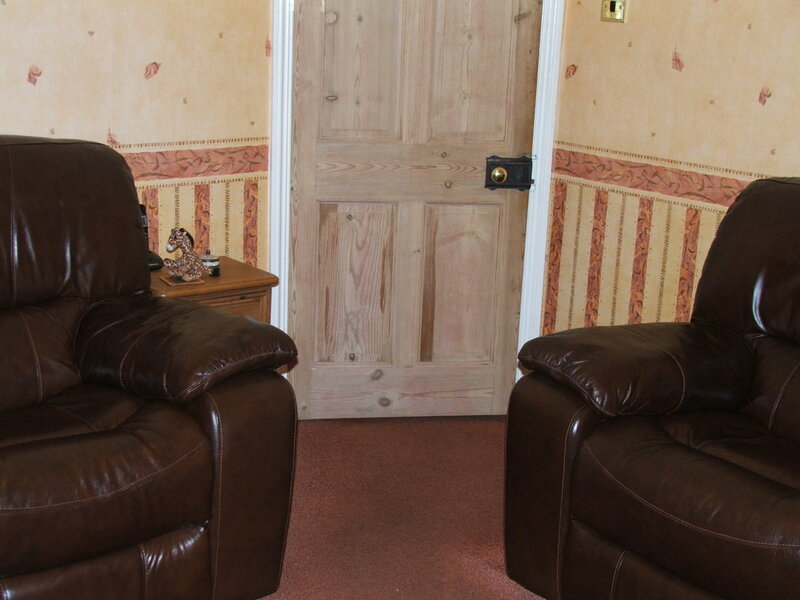 The main reason we bought new seating was to return to having one sofa and two armchairs. This makes it easier to angle your seat towards the television, or turn it towards a guest to chat. I have the three seater version of this sofa and would like to make a two-seater by removing the middle section. Do you know if this is possible? That's an interesting idea. Unfortunately, as you've probably found, there isn't much information online about how to tackle this project. It seems to me there would be safety considerations. Sorry, I can't advise you. My husband and I bought a faux leather sofa, loveseat, and recliner at a store the other day. I really caved to my hubby's wishes of recliner sofa and leather material. We just got it delivered, and we HATE the way it looks in our home. It's not our type of decor, it's too big for our room, etc. What do we do? There are several things I would do in your position. Firstly, check what the agreement was with the store. Do they allow returns if the customer has a change of heart after delivery? 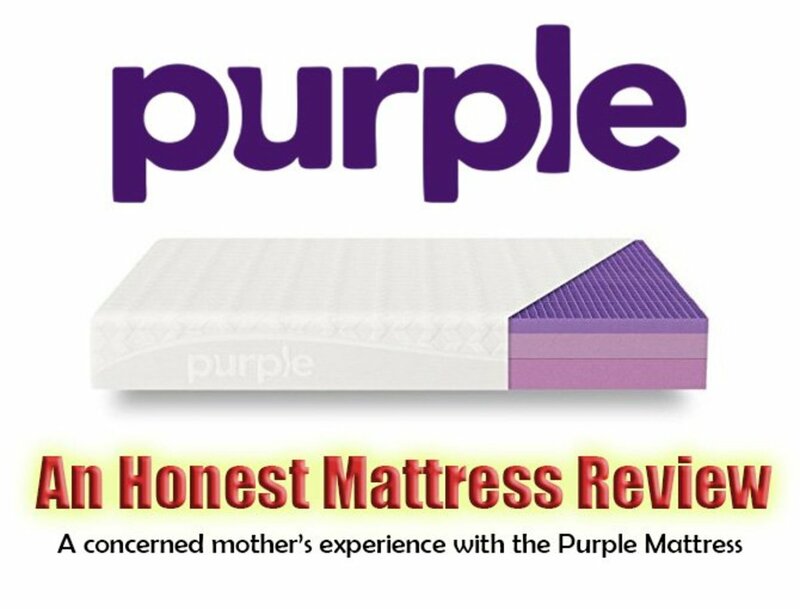 They may offer an alternative product rather than a refund; it's worth checking their policy. I doubt they are legally obliged to offer a replacement or refund. If the store doesn't accept returns, then you could consider living with the items for a while. You could sell part of the set to give more space in the room. If you do at least find the seating comfortable, then perhaps changing the room's décor would make sense. Otherwise, you may decide to sell the seating and choose something else. Be honest with each other about future choices. In ten years you'll probably look back and laugh about this. Just remember the lessons you learned. Are recliners better or worse than regular sofas? We are looking for a sofa (or recliner) that doesn't sink as soon as you sit on it, since once it sinks, it would stretch out your back and lead to back pain. 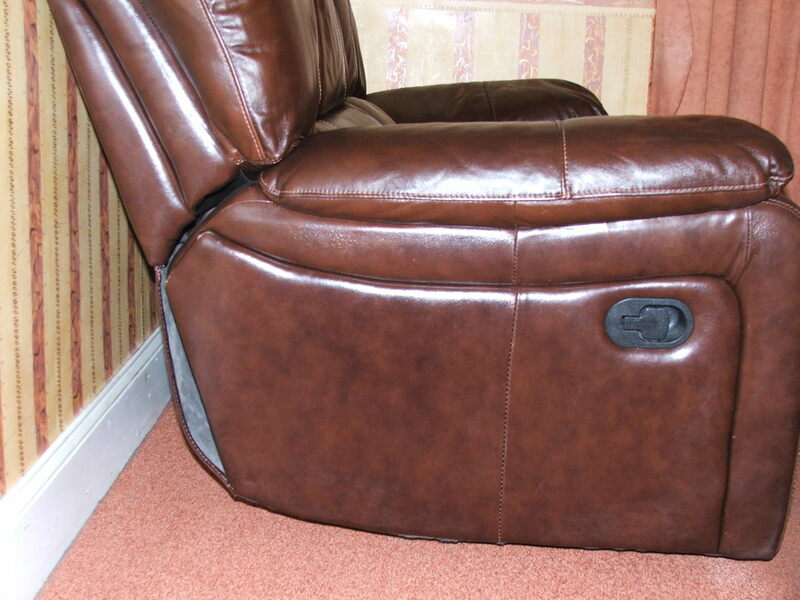 There are many people who say that the majority of the recliners would sink and the leg rests are hard to put back. I don't believe most of them as I have not sat on many myself, so I can't judge immediately. Please bear in mind I'm writing about personal experience only. A lot depends on the quality of the item you buy. Over the years we've had a top quality sofa passed on by relatives when they wanted a change. It lasted brilliantly with no sagging; sadly the material wore through after some time. We had a newly bought sofa which started to sag after a couple of years. Our first recliners were manual, yes it did take a bit of effort to put the leg rests back. We changed them when the leather started to fade in patches. Our current sofas are electric recliners, and the seat of one is starting to sink after three years use, which is disappointing, I think a lot depends on how they are made. Maybe ask around your friends and relatives to see what brands they recommend. In general, I found the recliners didn't sink much when we tried them out. Do recliner sofas last? I just had mine delivered and the cushions seem crooked. If you're not happy with the quality maybe contact the vendor as soon as possible. I've heard some people say recliners don't last as long as they have moving parts, but can't comment from personal experience. Hi Lori, in our experience yes, power recliners are considerably more expensive than manuals. Is there much of a price difference between a power reclining sofa and a manual reclining sofa? Thanks, Debbie, you made interesting points. I'll be updating the article in the near future as we've now changed from manual recliners to electric, which have other considerations we hadn't realized until living with them. Life can be complicated! Yes I did try the sofa in the furniture store but I mostly tried out the reclining features. Due to my own lack of knowledge, I never thought that a sofa that felt so good reclined would not sit as well upright. I just wanted to let your readers know about it.. The other items I mentioned are things I encountered while searching for a sofa that I thought your readers should know about as well. Best Regards. Hi Debbie, thanks for your comment. I'm wondering if you had the chance to try out the sofa before purchase. It can be difficult to make a choice in store, but it's worth taking time with such an important decision. I know we always appreciate our seating when we come home from vacations. I only have room for one sofa. I needed a stationary sofa but wanted a recliner sofa. I thought I could use a recliner sofa as a stationary sofa. I found out I was badly mistaken. My recliner sofa is extremely comfortable in the reclined position but very uncomfortable as stationary sofa. When I sit upright, I feel like I am being pushed out of it. It is the slant of the backrest (which makes the reclined position so comfortable) that causes the upright position to be so uncomfortable. Also some reclining sofas have very deep pocketed seats which cause ridges that are uncomfortable if a person wants to lie flat. My sofa has a power headrest which is useless for me because it is too tall for my 5'2 frame. I also read on some manufactures replies to complaints from customers that recliner sofas do not last as long as stationary sofas. Just something else to think about when considering a recliner sofa. Tylah, I would start by speaking to the store it came from. 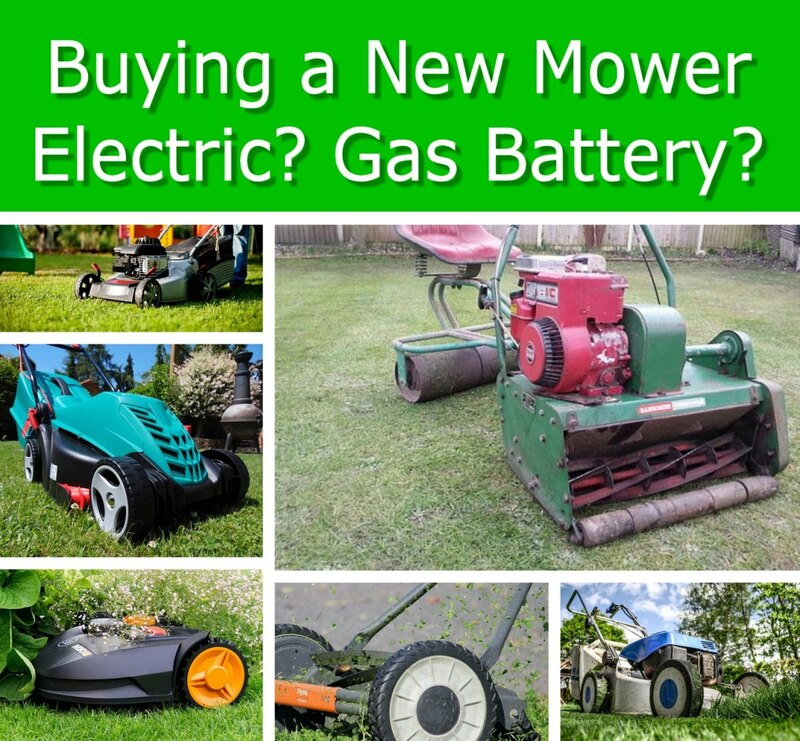 They should be able to put you in touch with the manufacturer, or know someone who does repairs. If you go on YouTube and type in " fix recliner sofa" it comes up with a couple of videos. You may be able to have a go yourself. Best of luck! Thanks for your comment, Xenolit. We didn't expect recliners to have so many differences from static sofas. There is more floor space in the room now we no longer have a footstool. A fold down tray sounds useful, don't think we saw any with that option. Well done! You did thorough research and gave me some points to ponder. I never fit in recliners and always break down the footrests, but I am thinking about a double recliner sofa with the fold down tray in the middle. It can't be ugly, though.